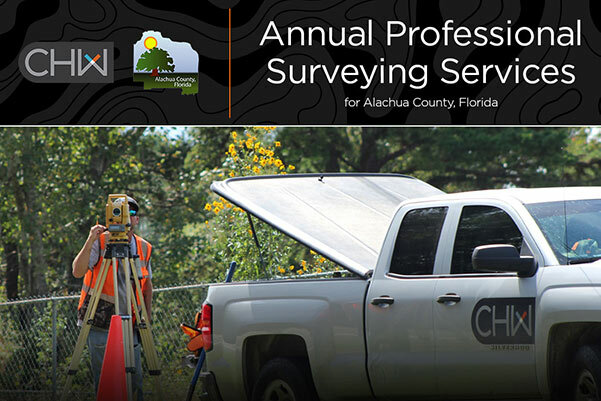 CHW is proud to be one of the selected firms to provide Annual Professional Surveying services for Alachua County. Our team of highly skilled and knowledgeable individuals are focused on excellence, integrity, and the delivery of exceptional services. We look forward to serving the County. For more information on our Surveying + Mapping team, visit our page here.